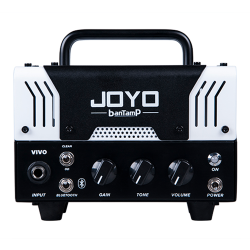 Introducing the JOYO BantCab ! JOYO have designed the BantCab guitar cabinet to match perfectly with BanTamPs. The 8" speaker cabinet is loaded with an 8" Celestion 15 watt, 8 ohm speaker. When paired together, the BantCab and BanTamP combo makes a great looking pair and performance is without a doubt far better than other cabs in this price range.